Plexr is a revolutionary soft surgical device that’s changing the way many Aesthetic practitioners work. 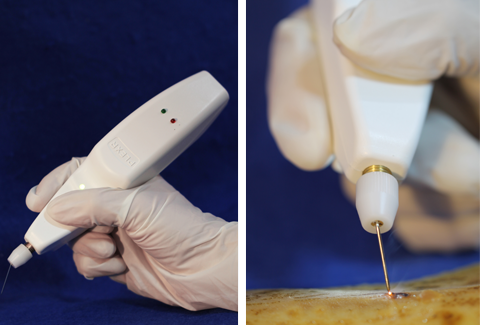 The cordless, micro-surgical device, patented by GMV Srl in Italy, was developed as an alternative to surgery. what is Plexr soft surgery? GMV, the manufacturers of Plexr, coined the term “Soft Surgery” to describe their device because it delivers surgical results, but with no scalpel, wounds or stitches, no bandages and minimal downtime. It implies minimally invasive procedures, with lower risk and at a more affordable price. Plexr can treat a vast number of indications and it’s probably the most versatile tool in aesthetic dermatology today. It has a long list of uses, ranging from dermatological, to dental, to ophthalmological. There is one very obvious benefit, and that is that Plexr doesn’t require any surgery. GMV, the manufacturer of Plexr, coined the term “Soft Surgery” to describe their device because it delivers surgical results, but with no scalpel, wounds or stitches, no bandages and minimal downtime.